Lower left: TH. FRERE./ AV CAIRE. 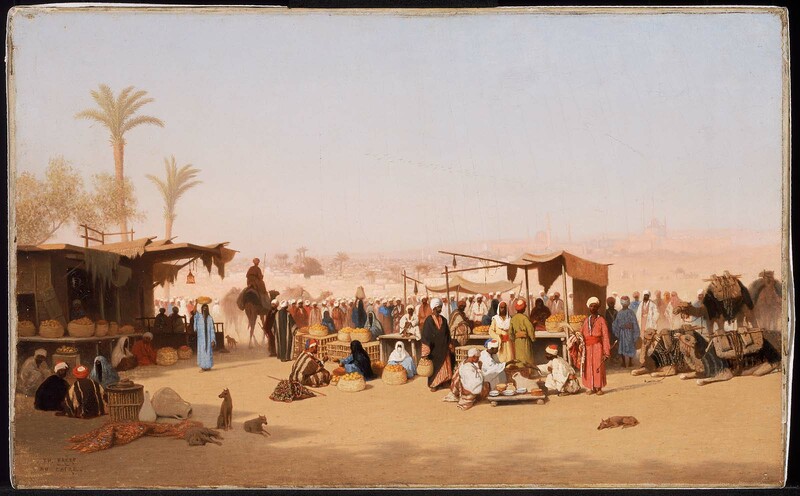 This painting possibly also appeared at the March 15-16, 1883 sale, "Foreign and American Paintings and Water-colors," as no. 113, from John. B. Osborn estate, Boston, where it was entitled "Street in Cairo."